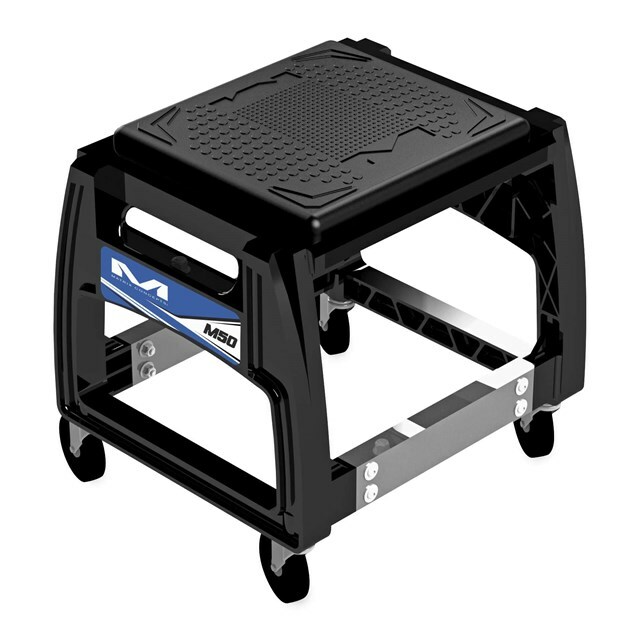 Caddy made from lightweight, heavy-duty injection molded polycarbonate plastic. Chemical-resistant, closed-cell, self-skinned replaceable seat. Two graphic areas that can be customized with your name and number. Note: Not to be used as a bike stand.